Banks face an increasingly crowded battlefield in the fight for millennial customers. Not only do they have to compete with services like Venmo, but many messaging apps are adding their own peer-to-peer payment services. 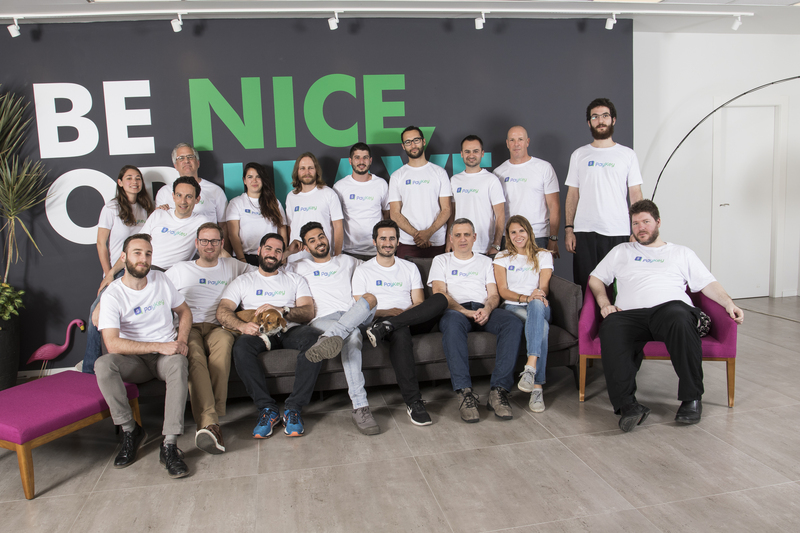 Tel Aviv-based startup PayKey thinks it has the solution with a smartphone keyboard that lets bank customers access financial services without having to log onto a banking app. Today PayKey announced that it has raised a $10 million Series B led by MizMaa, with participation from other investors including SBI Group, Siam Commercial Bank’s financial tech subsidiary Digital Ventures, SixThirty and FinTech71. After banks integrate PayKey’s white-label smartphone keyboard API (which keeps each institution’s own security and authentication systems) with their mobile apps, their customers can install it onto their smartphones and use it to send payments, check their balances and access other services from inside any app. The keyboards have a key with the bank’s logo that opens a menu of services when it’s tapped. The idea is that by moving an extra layer of friction and not forcing customers to leave their favorite social media or messenger apps, PayKey can help financial institutions hold onto younger customers who are accustomed to the convenience of Venmo, Square Cash and Zelle and peer-to-peer payment services in messaging apps like Facebook Messenger and Snapchat. PayKey has already signed commercial agreements with seven banks, including Westpac, UOB, Bank Leumi and an unnamed financial services provider that it says is one of the world’s biggest, which are now rolling out their versions of the keyboard. PayKey plans to double its customers over the next six months, with a focus on Asia, where many of its Series B investors are based. The startup also wants to start looking in other verticals, including telecom providers.